Brian J. Laurenzo | Attorneys | Brick Gentry, P.C. Brian Laurenzo is a registered Patent Attorney with the United States Patent and Trademark Office. His practice includes the filing and prosecution of patents, trademarks and copyrights in the United States and with associates in foreign countries throughout the world. 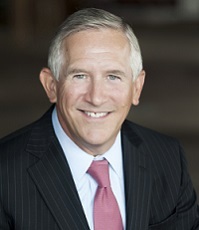 Brian also provides clients with patent and trademark availability and infringement opinions; licensing and transfer of intellectual property rights and technology; and counseling and implementation of enforcement strategies and litigation of matters concerning patents, trademarks, copyrights, trade secrets, unfair competition, technology and e-commerce, as well as online brand management and domain name law. Before Brian joined Brick Gentry P.C. in 2010, he served as head of the Intellectual Property Law Practice Group for the Des Moines Regional Office of Dorsey & Whitney, LLP. Previous to this, he was a Shareholder at Davis, Brown, Koehn, Shors and Roberts, P.C. Greater Des Moines Committee, 2015 Chair-Elect. "Business Leader You Need to Know," Des Moines Business Record's Book of Lists, 2013-2015. “An Engineering Education in Preparation for a Career in Patent Law,” Iowa State University Engineering Classes. October 15, 2014. “The Importance of Documenting Invention Disclosures as Part of a Corporate Patent Protection Program,” Iowa Association of Business and Industry's Advanced Manufacturing Conference, October 9, 2014. "Emerging Patent and Trademark Legal Issues for Businesses," Iowa Association of Business and Industry Manufacturing / Environment Conference, October 31, 2013. "The Basics of Technology Licensing Agreement," Brick Gentry Law Firm Sponsored Continuing Legal Education, October 13, 2013. Member, Rotary Club of Des Moines A.M., 1998-present.